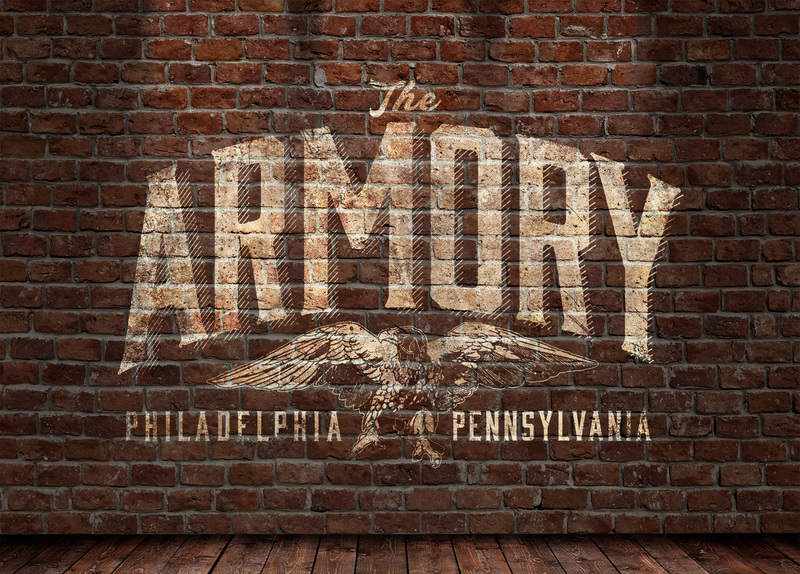 The Armory was slated to open as a small, separate club within The Fillmore Philadelphia where indie and local bands could perform in a more intimate setting than the main music hall. 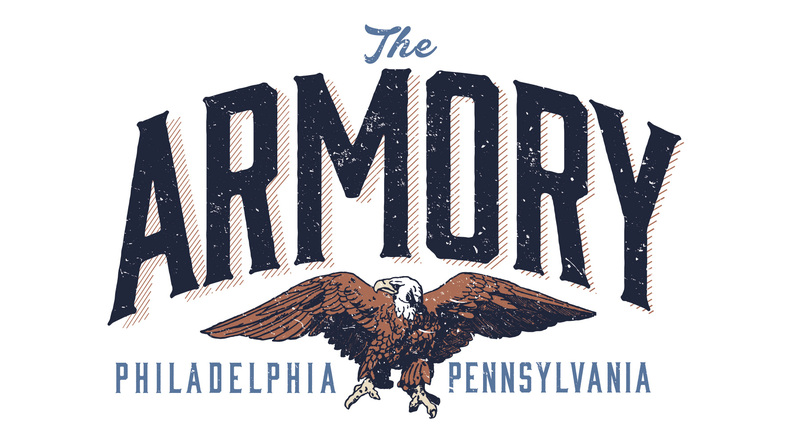 The club’s name was a nod to the history of the venue: now listed in the National Register of Historic Places, the building once housed Ajax Metal Company, which manufactured brass and bronze ingots for local military arms. 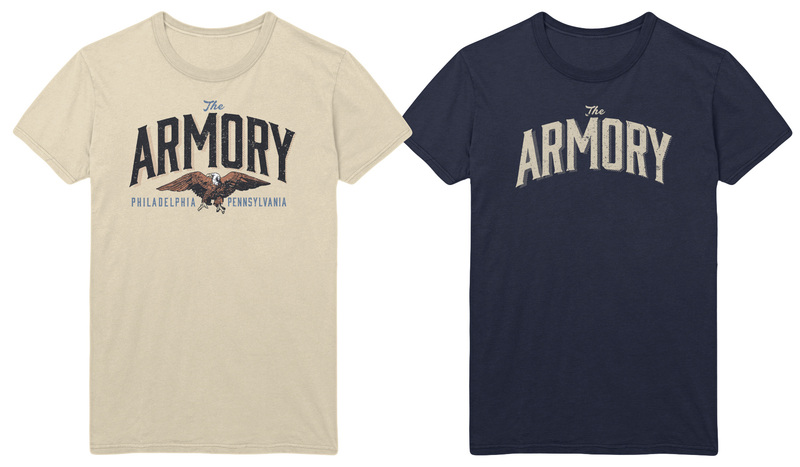 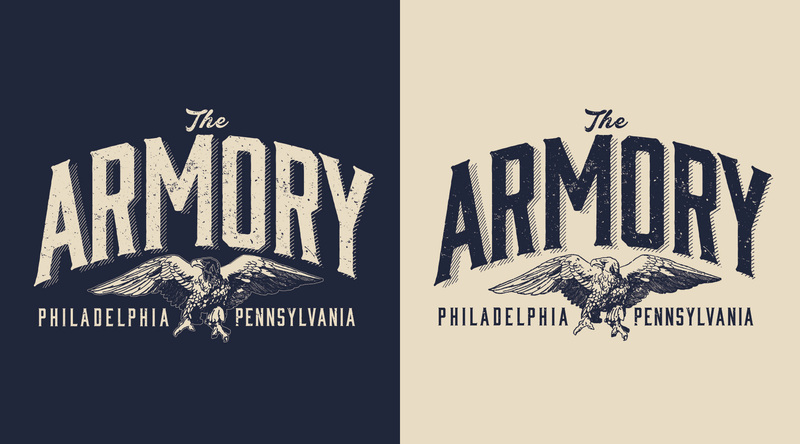 To pay homage to The Armory’s name and the venue’s past, the logo is Americana-meets-rock-and-roll, with modern updates made to retro typefaces and a vintage eagle illustration to incorporate a military touch. 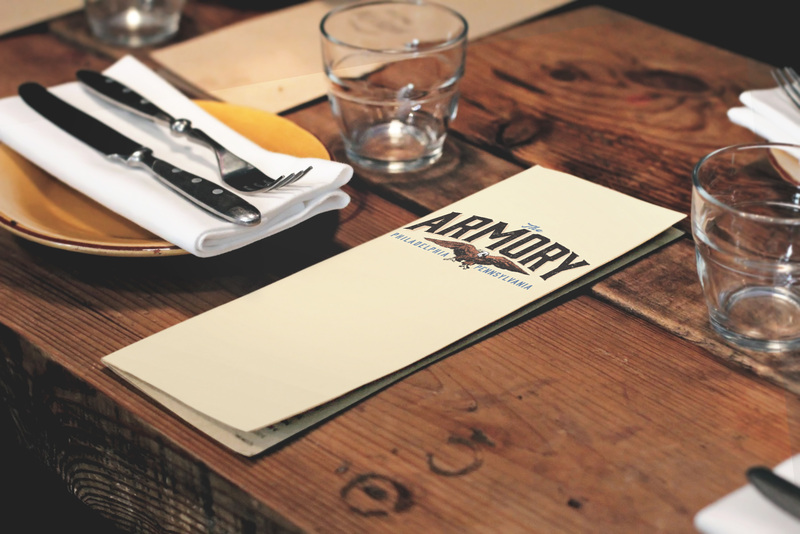 Two versions of the logo were created for applications requiring a simpler, more modern design. 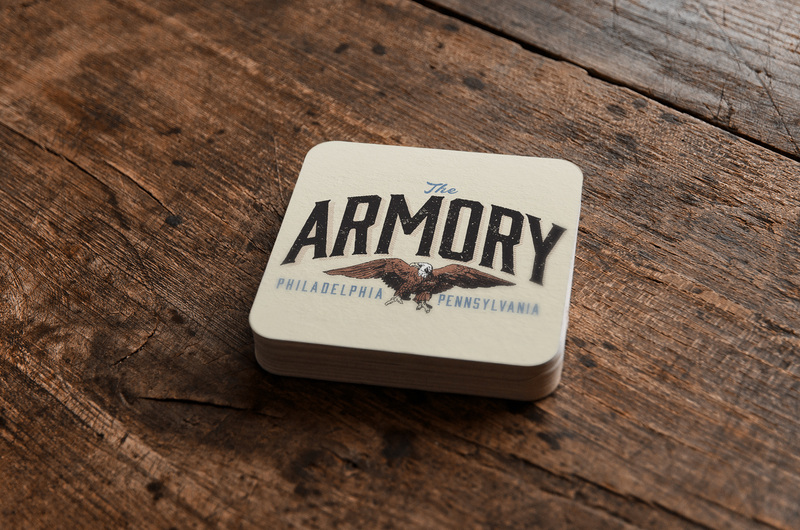 The Armory underwent internal name and strategy change before the grand opening of Fillmore Philadelphia and is now known as The Foundry.